We have already setupped the Raspberry Pi to download files from internet and share them wirelessly over network acting as an NAS. Now it's time to further enhance this functionality to share multimedia content (audio/video/images) using DLNA protocol so our Raspberry Pi can act as an self contained multimedia downloader and server. Enabling DLNA allows compatible networked device like TV's, cellphones, music systems and computers to enable seamless sharing and playback of digital media between devices. DLNA uses Universal Plug and Play (UPnP) for media management, discovery and control. Follow the instructions ahead to install and configure popular Linux DLNA server utility MiniDLNA on Raspberry Pi running Raspbian. Install MiniDLNA via aptitude package manager. Now, configure as per you needs by editing the configuration file located at - /etc/minidlna.conf. Make sure to change the IP address and your media folder location from the settings below. # from the db_dir directory (see below). # On Debian, you can run, as root, 'service minidlna force-reload' instead. # SET TO YOUR PI IP !!!!!!!!!!! 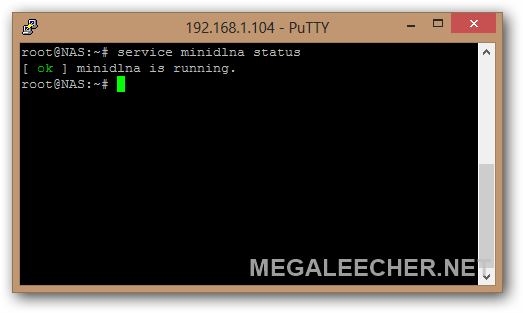 Configure MiniDLNA to launch at boot and start the service. To force MiniDLNA to scan the configured directories use the following command. TIP # 2 : Append max_user_watches=50000 to /etc/sysctl.conf to make iNotify work correctly. Muchas gracias por el artículo hermano! Siempre me es de mucha utilidad. Pregunta, ¿para que es y como debe configurarse Inotify?